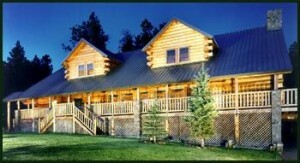 When you talk about Triple Creek Ranch, the words “award-winning” always seem to come up. 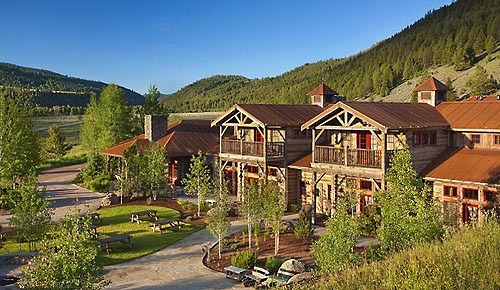 This luxury resort, set in the Bitterroot Mountain Range of the Montana Rockies, was recently voted the #1 Inn/Small Lodge in the US and #2 Hotel in the World by Travel + Leisure’s 2012 Readers Choice Awards. All of this high service hums through a uniquely beautiful facility. The acreage around the main lodge is dotted with individual cabins, each with a wood-burning fireplace, king log-post beds, and some with private hot tubs. Each cabin is set so that when you sit on your deck, you don’t stare at another cabin—just an amazing view. “Its beautiful and quiet–there’s no cell service–so we encourage people to go outside their comfort zone and try things. We’ve gotten people on a horse who’ve never petted one before,” notes Scharra. Nature tours get them out to enjoy the countryside. The chef was schooled at the CIA in New York and his specialty is wild game and fish, but Scharra notes that he also likes Asian and Southwest influences. “There’s almost no chance you’ll get bored with the menu,” she says, “because it changes daily.” And if you’ve gone vegan or have food allergies, no worries— they will accommodate special diets and food allergies. At the end of your stay, you can take a bit of the ranch home with you in the form of their own jams and jellies, or you can get a packed breakfast or lunch as you leave. They really take care of their guests. Details: Open January, February, April through December. Capacity: 60 (for meetings: 60). Rates: Start at $950 per night, per couple. 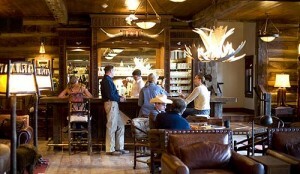 Memberships: Relais & Chateaux, Virtuoso, Andrew Harper, Orvis Endorsed Lodge, JG Black Book. Winter activities: Skiing: flex your schussing muscles on Alpine or Nordic skis along the Continental Divide on the Montana-Idaho border. The ranch is just a short, 30-minute drive from skiing in the Northern Rockies at Lost Trail Powder Mountain Ski Resort or at Chief Joseph Pass for cross-country skiing (available through February, weather permitting). Not into skiing? Then how about dog sledding, ice fishing, snowmobiling, snowshoeing or that unique western sport call skijoring (a skier is pulled by a horse). 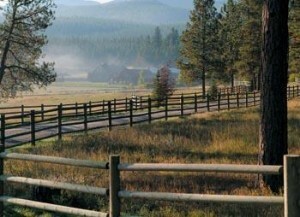 Coming soon: more “Ultra Ranches”, including The Ranch at Rock Creek, The Lodge & Spa at Brush Creek, and The Resort at Paws Up. Just as winter is approaching, you may be thinking the dude ranch season is over. Sure, some ranches in the high country roll up the welcome mats when the snow flies, but others just switch gears, trading hay wagons for sleighs and hiking boots for cross country skis. And for many of the Southwest (and South America) ranches, like Hidden Meadow Ranch (shown at right), winter is their high season, when temperatures rise and snowbirds flock to sunny climes. From Idaho’s Western Pleasure Guest Ranch to New York’s Pinegrove Dude Ranch & Family Resort, to Wyoming’s Vee Bar Guest Ranch, you’ll find the welcome mat is out this winter. 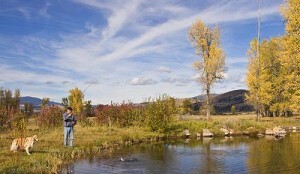 Here’s a reminder of some of the winter fun you’ll find at Ranchweb’s member dude and guest ranch resorts. Don’t expect a desert getaway. Set in eastern Arizona’s White Mountains, you’ll find a log cabin hideaway surrounded by 2 million acres of majestic national forest. Their motto: escape from everything but luxury. 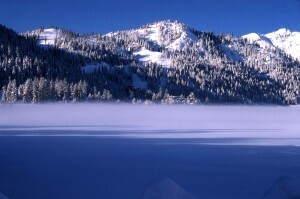 Choose from tons of fun here: horseback riding through the snow (weather permitting); horse-drawn sleigh rides; sledding; snowshoeing; back-country excursions via the ranch’s exclusive 24-passenger snowcat; ice fishing; cross-country skiing on the area’s groomed trails; skiing and snowboarding at Sunrise Ski Resort, within 30 minutes of the lodge. Details: Guest cabins include wood-burning fireplaces, covered porch, pillow-top mattresses or feather beds, down pillows, hand carved wood and leather furniture, fine art and antiques, digital music channels. And if you must stay connected, you can with Internet access via Wired in the Woods®. How about some snowmobiling, snowshoeing, or cross country skiing in between your meetings? That’s a perfect conference mix at Peaceful Valley Ranch, near Lyons, Colorado. There’s everything your group needs for a successful conference: a big meeting room, AV equipment, meals and beverages for your breaks, plus a pool, game and exercise room when your team needs to blow off steam. And for that group bonding experience, a hay ride through the snow would give them something to talk about. Details: Families and small groups are welcome at the ranch in winter, which is open year-round. There’s plenty of winter fun: snowmobiling, snowshoeing, or cross country with ranch guides through the Roosevelt National Forest. Equipment is available for rental. 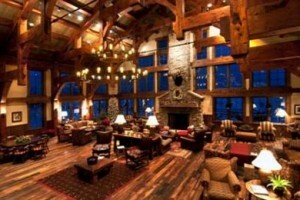 That ultra-luxurious all-inclusive property in Montana’s Rocky Mountains, Triple Creek Ranch, recently introduced themed weekends to showcase the resort’s varied wintertime appeal. Triple Creek Ranch was recently named the #1 inn in the Continental U.S. and Canada, and the #2 hotel overall worldwide, in the 15th Annual Travel + Leisure World’s Best Awards survey. 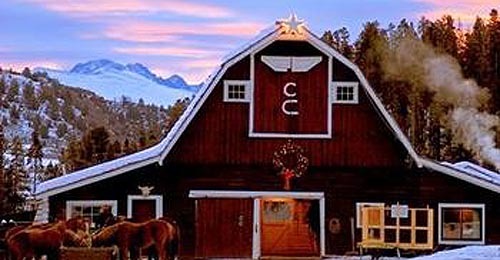 Themed weekends and seasonal celebrations at Triple Creek Ranch include: A Christmas to Remember; Ring in 2011 New Year’s; Western Horsemanship Weekends; Cooking School Weekends; and more. The next two themed weekends coming up are A Christmas to Remember and Ring in 2011. Details: Rates include all meals (including hearty breakfasts, candlelit gourmet dinners and picnic lunches), house wine and house cocktails, snacks, unlimited use of the fitness center, and all ranch activities, including on-ranch trail rides, guided nature tours, ice fishing, cross-country skiing and snowshoeing. A Christmas to Remember. All decked out in holiday finery, the ranch’s celebration features Christmas Eve and Christmas Day gourmet dinners served with fine wines and accompanied by live entertainment. Rates from $650 per room, per night, per couple, excluding $150 holiday premium per room. Three-night minimum required. Ring in 2011. Fireworks over the Bitterroot Mountains and an evening horseback ride are highlights of the ranch’s New Year’s Eve celebration on December 31, 2010. 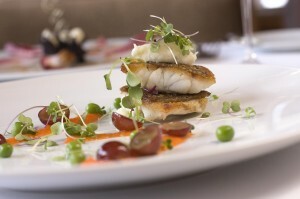 A gourmet dinner, live entertainment, and all ranch activities are included. Rates from $650 per night, per couple, excluding $150 holiday premium per room. Three-night minimum stay required. In winter, you can watch or sometimes join in ranch rodeos at spots like White Stallion Ranch in Arizona. At White Stallion, their Saturday rodeo has been a tradition for over 60 years. The rodeo is narrated with an eye to the history and tradition of ranching and rodeo in the West. It’s fitting, since the ranch owners, the True family, have been rodeoing since their youth; now their third generation is trying the sport. You’ll see some of the White Stallion wranglers, family, and friends compete in several events. Catch all the breathtaking action: barrel racing, team roping, breakaway roping, steer wrestling, and more. At Arizona’s Rancho de los Caballeros, the one rodeo event takes on a whole new meaning to the corporate cowboys and cowgirls: the Rancho de los Caballeros Team Penning Program. 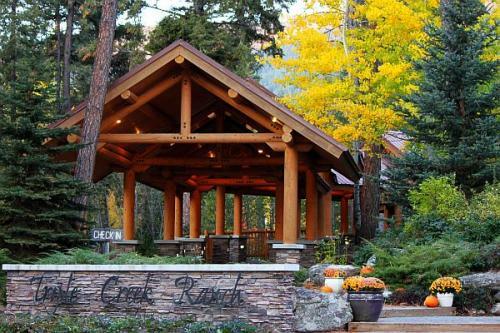 For business groups meeting at the ranch conference facilities, it’s a unique way to train team members in the art of communication, motivation, and relationship development. Team Penning entails dividing your group into teams of three or four, plus a cowboy who’ll give as much or as little help as you wish. Each team takes turns riding into an arena to cut three yearling steers out of a herd; they then drive them into a pen as quickly as possible. Deceptively simple, this timed event is guaranteed to provide a challenging and exciting learning experience for all. Just ask one of the Rancho’s sales staff for details on team penning and other events tailored around your existing company programs or customized to your specific goals. Or plan ahead to get in on the action yourself in summertime. Several ranches offer summertime gymkhanas—games on horseback—that guests can join (for a full list of ranches that offer gymkhanas, see Ranchweb.com).Wyoming’s R Lazy S Ranch welcomes children of 7 years and older from June through August (September is an adults only month). Their special riding program includes instruction, half-day trail rides, all-day rides to nearby mountain lakes and lively gymkhanas. You should also check out Colorado’s Sylvan Dale Guest Ranch, Wit’s End Guest Ranch Resort & Spa, Montana’s Sweet Grass Ranch, and Wyoming’s CM Ranch, T Cross Ranch, Vee Bar Guest Ranch, or Heart Six Ranch. Food and wine has become much more important to today’s vacationers, and guest ranches understand that and are responding. In fact, many ranches have made some of their biggest changes in their dining rooms (and most don’t ring the dinner gong anymore, like the cartoon character below). Now all they have to do is convince some travelers that their old ideas about ranch food are, well, so yesterday. 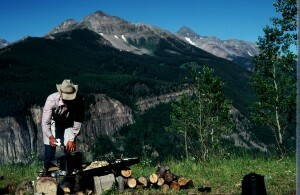 Here are the top five dude ranch food and wine myths, debunked. Myth No. 1: Guests dine every night on barbecue beef, and a plate of beans. TRUTH: Well, once that was the idea of a perfect meal at a dude ranch. And while that’s perfectly delicious food, the average menu at today’s guest ranch now goes far beyond that in sophistication. At New Mexico’s The Lodge at Chama, Executive Chef Kirk Vandermaat and his staff have one goal: that guests “cherish their days and evenings here at Chama”. Each morning, you choose your coming evening’s fare from your own personalized menu; options: native selections of elk, bison, trout, and quail; oh, and of course choice steaks. Myth No. 2: I am trying to stay on a special diet, and a ranch can’t adjust its menu for me. Myth No. 3: I know I can get a nice steak on a ranch, but by the end of the week, I’ll be starved for some fresh veggies. Myth No. 4: I’m on a low-sodium diet, and won’t find anything to eat at a ranch. Myth No. 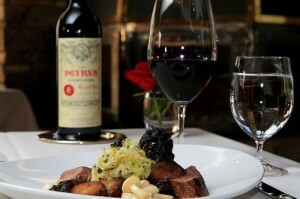 5: If I want a decent glass of wine with dinner, I’ll have to bring a bottle myself. 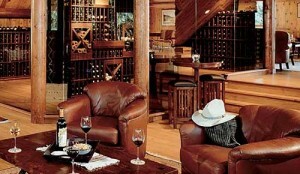 TRUTH: At many ranches, you’ll have trouble deciding what wine to try from their wine list. British Columbia, for example, is home to some great white wines, and local ranches will introduce you to some real finds. “We have access to some great, affordable wines in Canada that you don’t see a lot of in the US,” says Tyler Beckley. “My wine list is not over priced or pretentious, and the fun is in finding great wines that are not expensive.” Three Bars also also carries wines from Argentina, Chile, France, Spain, and New Zealand. White Stallion Ranch brought in a sommalier to put together a wine list that includes selections from all over the world. “It has been hugely popular,” says True.